The symposium dinner is from 18:00 in Lyngby. 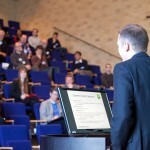 This is the third annual symposium in the Danish Battery Society. We look forward to present updates from the national research and development, as well as inspiring invited speakers to promote collaboration and knowledge sharing – both within and outside the society and both nationally and internationally. As a new approach, we have planned the general meeting for an afternoon session at 16:30, between the symposium and the dinner. For those not attending the general meeting, we will serve refreshments and encourage to networking with the other participants. The meeting will take place at DTU Energy, Technical University of Denmark. The exact address is Building 101A, room S01, Anker Engelunds Vej 1, DK-2800 Kgs. Lyngby. The room is setup like an auditorium seating 72 persons and includes a projector, screen, microphones, laserpointer, PC, whiteboard and a flipover.